I’m very excited to announce the start of pre-orders for my new album ‘Motion’. It’s not a Banco de Gaia album, but rather a collaboration with Andrew Heath under my own name focussed on the ambient side of what I love doing. We travelled all over the country recording people, nature, machines, whatever we found really, and have turned those recordings into a series of ambient ‘journeys’. It’s not background music though, although I’m sure you could have it on in the background if you want, but rather evolving pieces which will draw you in and take you away. If you’re a fan of the 36 minute “Kincajou (Duck Asteroid)” or the mellower parts of “The 9th of Nine Hearts” then I think you’ll find this album very much to your taste. 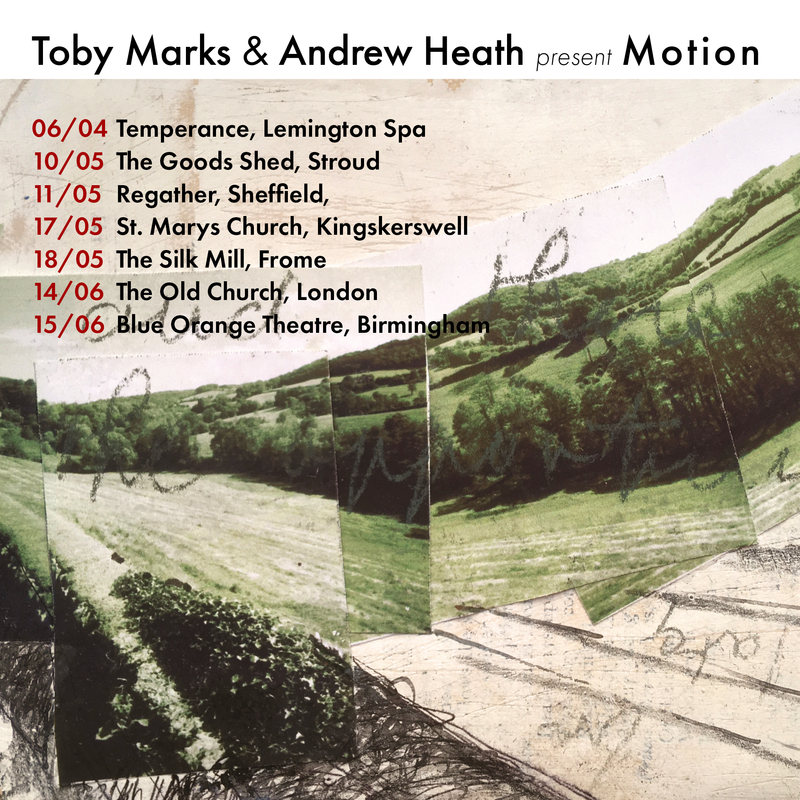 To celebrate the release, Andrew and I are heading out on tour, starting next month, and the dates for that are below. In other news, as it’s still Disco Gecko’s 20th year, I’ve revived our 20th Anniversary Bundle offer of 5 ‘discs’ for £20 + p&p. Head over to www.discogecko.com/product/20thanniversarybundle/ to stock up on DG releases.